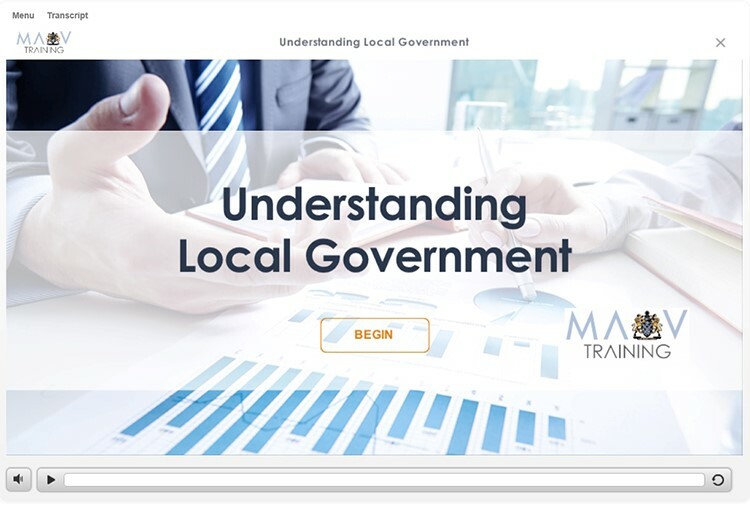 Understanding local government eLearning module was developed to assist newly elected and returning councillors and new council staff to understand the workings of local government, its role, responsibilities and history. The program examines emerging issues and future challenges facing local government and the sector's place within our federal system and its legislative relationship with the State Government. Learn how councils are structured, funded and governed and explore the role of the administration and issues of governance, community engagement and the role of the council and councillors. Understand the funding model and legislative environment of local government. To begin the Understanding local government session, click on the image below which will open in a new window.